The TODAY function returns today's date (updated every day). This function is great for figuring out how many days there are between today and a specified date (the difference between two dates). 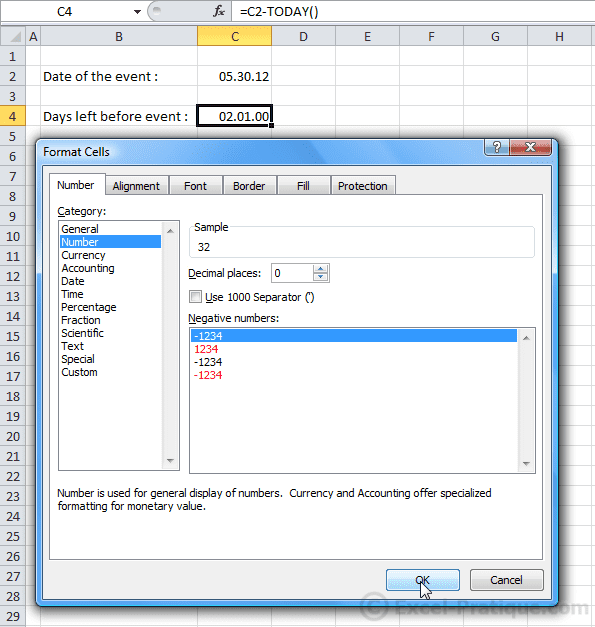 Enter =TODAY() in a cell, and the function will return today's date (this function has no parameters). The result will be the difference in days. This will be updated every day.